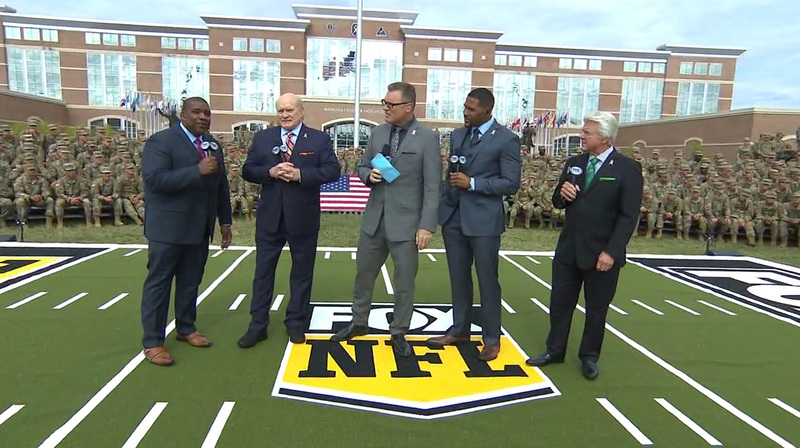 Fox Sports visited Fort Benning in Georgia for its Veterans Day NFL broadcast on Nov. 11, 2018, complete with a roaring crowd of soldiers and plenty of Army adornments. 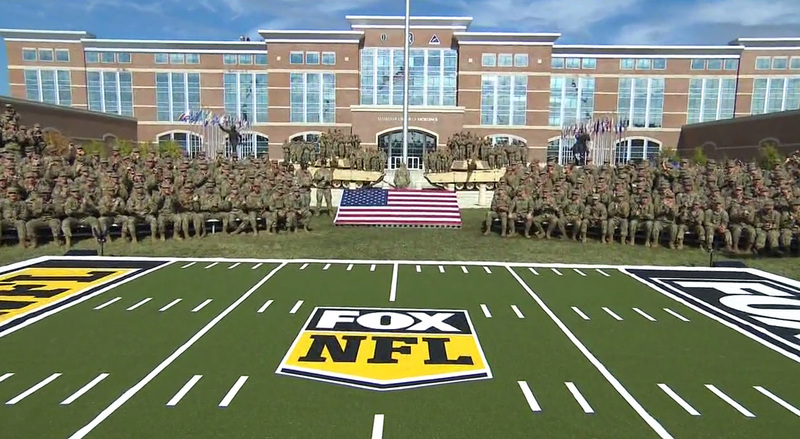 Part of the network’s “Fox Sports Salutes Veterans Day” coverage, both “Fox NFL Sunday” and “Fox NFL Kickoff” called the U.S. Army installation home for their weekly broadcasts. 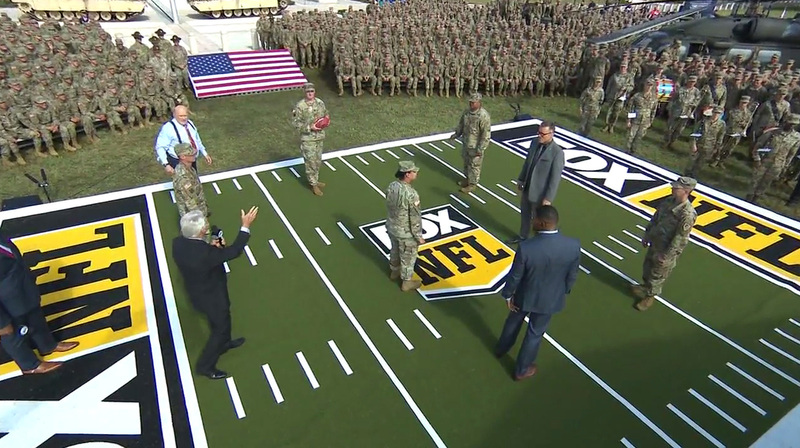 Along with the traditional pre-game news and analysis, “Fox NFL Sunday” also featured the hosts checking out a M1 Abrams tank along with a game of flag football with soldiers at Doughboy Stadium. 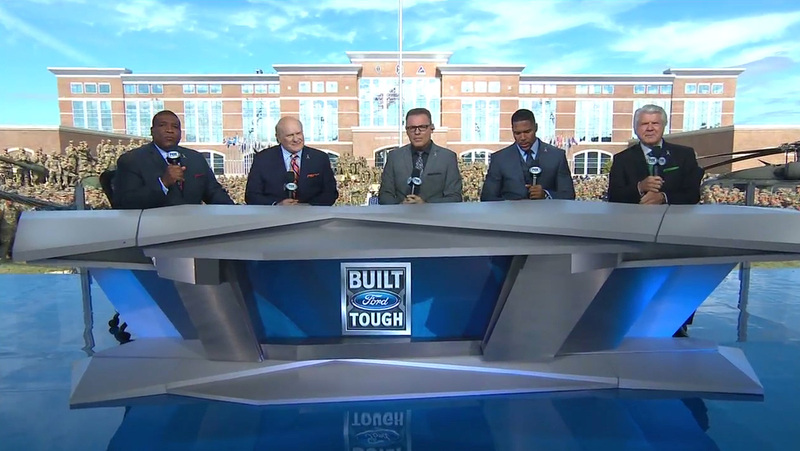 For its setup at Fort Benning, Fox Sports used its standard traveling desk from JHD Group with a backdrop of the U.S. Army Maneuver Center of Excellence. Two M1 Abrams tanks and a Sikorsky UH-60 Black Hawk helicopter provided a true military feeling on camera with the audience of active soldiers and veterans. Fox Sports also brought a SkyCam to allow for sweeping shots of the crowd and setup, complete with a miniature NFL field. 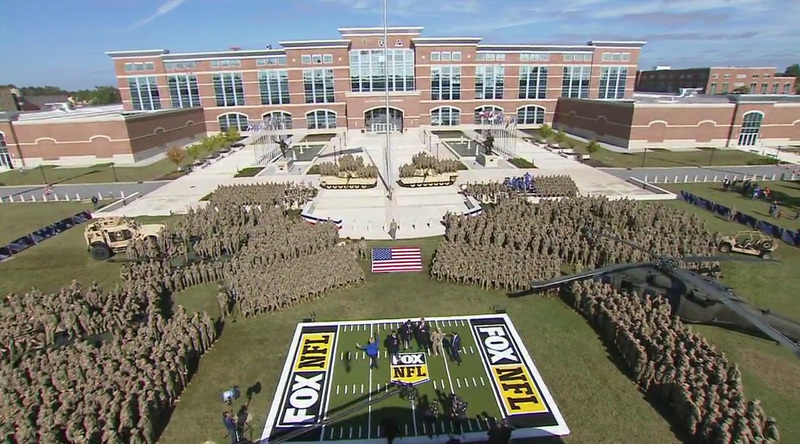 “Fox NFL Sunday” has a long tradition of broadcasting from military installations, such as past shows from Bagram Airfield in Afghanistan and the USS Harry S. Truman aircraft carrier in the Mediterranean Sea.